Some people love cute dainty jewelry, some people love thick costume jewelry… I am neither here nor there- I LOVE IT ALL! 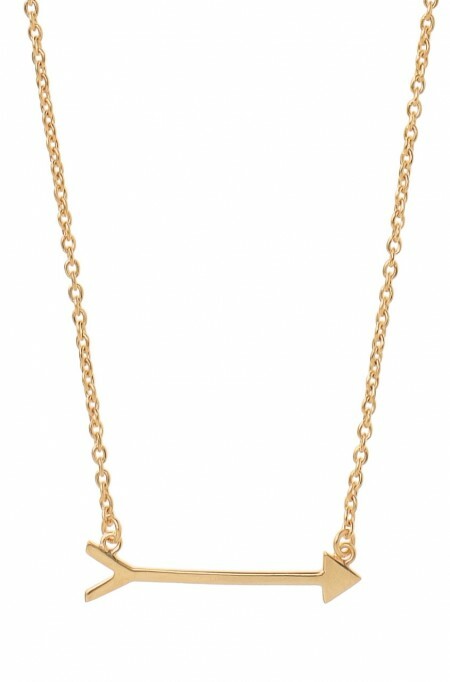 It’s nice to switch it up depending on your outfit or mood, and this dainty little treasure “On the Mark” by Stella & Dot is totally a must have! It sits, ever so nicely, on your neck with three different attachments depending on the length you want. You can find it online for $59.00CAD in silver or $64.00CAD in gold, and it is one of my top five favourite pieces I own. I know once you have it you will feel the same! Anything you really pair this necklace with it goes with, and that’s hard to find these days! Also, it helps that lovely ladies such as Lea Michele and Anna Kendrick have been seen wearing it and look PERFECT (but, what else is new). I layer mine with all my statement necklace to add a whole lot of fun! Definitely agree….totally must have!